A Life Of Music.Rocks: Foxon's thoughts - The Mest Edition. Let me start by being honest. While I had heard a lot about Mest over the years, I had never actually heard any of their music. For this reason, I was designated driver for the evening. My wife, ALOMR’s Jen, put a few of their songs on in the car on the way, and that was my first Mest experience. We arrived a little later than the guys, just in time to see Kill The Masters, a band we had seen a couple of weeks ago, supporting The Papashangos in the most random of venues. I am putting together a piece on The Papashangos very soon. 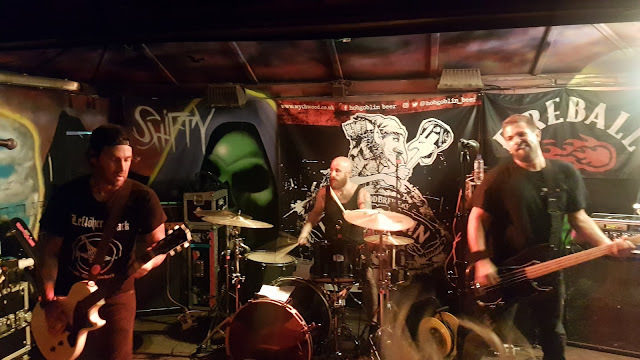 As for Kill The Masters, they are a noisy trio from Bolton who ‘make no apologies’. 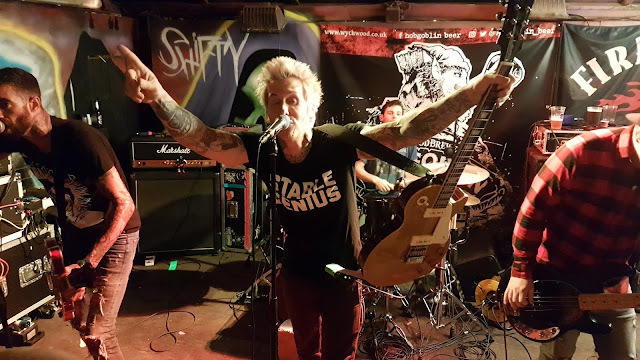 It's fast aggressive punk rock, fronted by 2 singers, even with the odd rap thrown in. They do a couple of unexpected covers too, I'll avoid ruining the surprise, go see these guys. The set was closed by an absolute banger “Drugs In The Sun", a comedic anthem about… well, drugs, in the, erm, sun. Next up we saw Switzerland’s Slimboy. A band who jumped between punk rock, indie and alternative rock. The highlight for me was the emotional “Sorrows”, a song I will certainly be adding to Spotify playlists from now on. The set itself was superb, dare I say band of the night? For me, at least, they were. They have a tight and honed sound, really catchy vocals and they drop into some heart pounding metal riffs. Prior to Slimboy, the only swiss artists I'd ever heard we're melodic metal, female fronted, Nightwish clones Lunatica, and Tina Turner. So I can proudly say Slimboy are my favourite band from Switzerland. However that is by default, so I'd rather say they are comfortably in the top 5 bands I've seen live this year. Awesome band, check them out!! Which brings us to our main event. 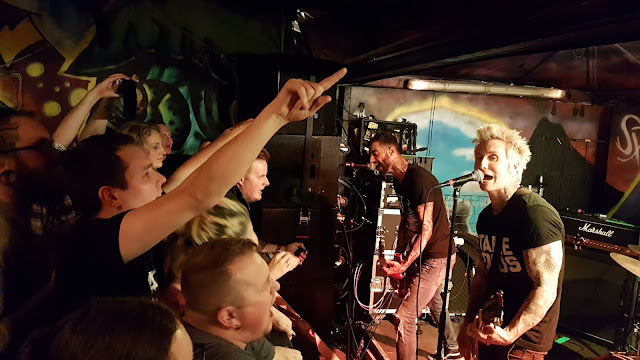 My second Mest experience of the day, my second Mest experience ever, and a Mest experience that even some of their very dedicated superfans don't get. I didn't know any of the songs, I wasn't drinking, yet I enjoyed this so much. The atmosphere in The Alma was electric, everybody punching the air, singing along and moshing like crazy. The band played off this electricity too, with beaming smiles from ear to ear, they played what seemed like anthem after anthem. It struck me that this band are a big deal. A much bigger deal than I gave them credit for. The people I spoke to had stories about Mest, one couple at the show met at a Mest gig a number of years ago, my wife had Mest stories from highschool with her friend who she was excitedly sending pictures to all night. I have been on Google and YouTube since the gig, and got to know and understand the band a bit more. They are a big deal, a much loved band, and a great band at that. I was part of something really special, in our little town. It’s a wild memory I will cherish forever. Now I have MY Mest story. Mrs Jen Foxon's post here. Have a look at what Rick had to say Here.